We love spending time outside in our own backyard. This summer has had a remarkable number of days of 100+ degree temps so we've had to stay indoors more than we would like. However, give us a "cool front" with temps in the mid-90s and we're back outside again having fun. 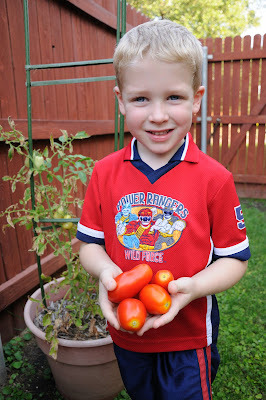 Harvesting our tomatoes. It's amazing. This sad little tomato plant has been so neglected this summer. I'm amazed that it hasn't died from lack of water. Yet, it keeps producing some great Roma tomatoes. Nicholas loves harvest time! 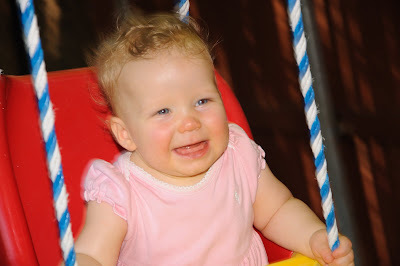 Rachel loves her outdoor swing. 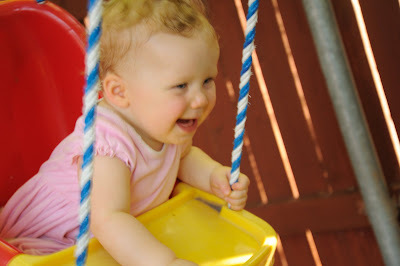 And Nicholas loves to push her in it and make her laugh. 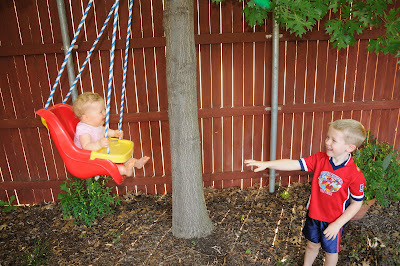 He's such an awesome big brother! 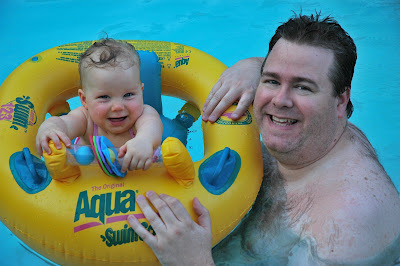 And of course, we do lots of swimming!